Luxury runs deep even in our pre-owned models. Browse our quality used inventory to find a luxury Mercedes-Benz for sale that best fits your style and budget. 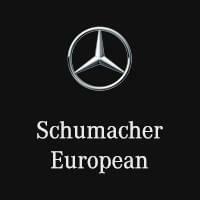 Contact us at Schumacher European today! When you make the trip from Mesa to Schumacher European, you’ll find an abundance of used Mercedes-Benz for sale including luxury Mercedes-Benz SUVs for sale. Get behind the wheel of a luxury Mercedes today by contacting us to take a test drive.